There are several techniques you can use when painting furniture. We use spray paint, chalk paint or latex paint when painting furniture, depending on what we feel will fit our needs. 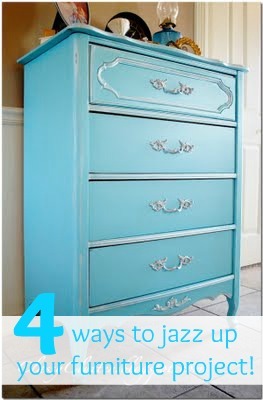 You can find our tutorial on how to spray paint furniture here and how to use latex paint here. Chalk paint needs to be painted by hand but you will prep and finish your piece the same way no matter which method you choose. 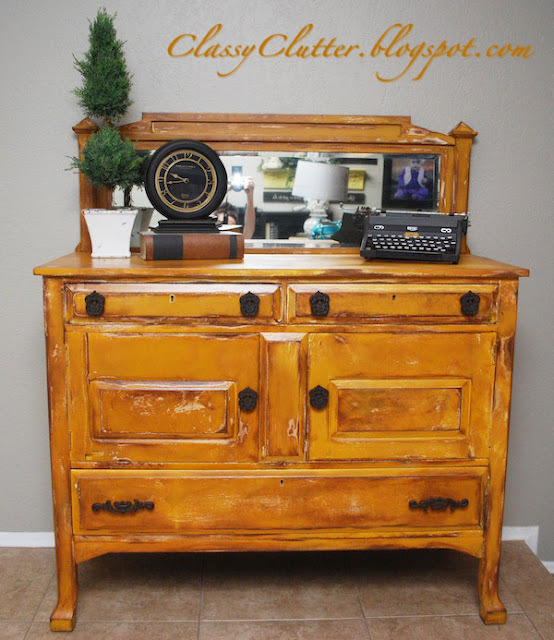 Learn how to make your own and use chalk paint here. We’re going to show you three techniques to paint your furniture! 1. 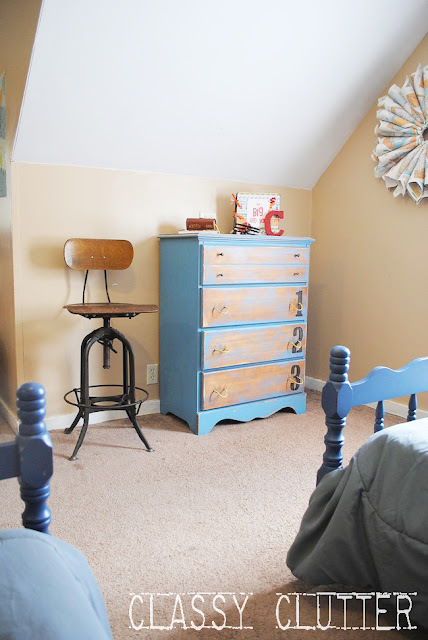 One way is to use two paint colors! Paint the top a different color than the rest of your piece, mix the colors or paint doors and details a different color. The possibilities are endless. 2. 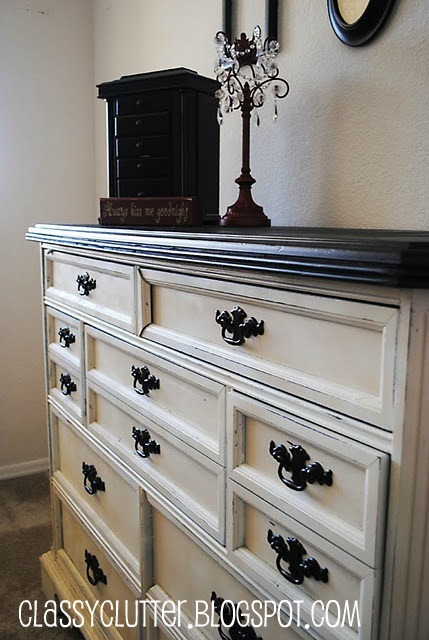 If you’re not into the two toned look, you can layer on the paint for an antique look! We painted this piece a warm mustard yellow color then painted random areas with a dark brown to give it an aged look! 3. Another way is to stencil or design on your piece! We used vinyl to apply a stencil on this desk to dress up the table top! 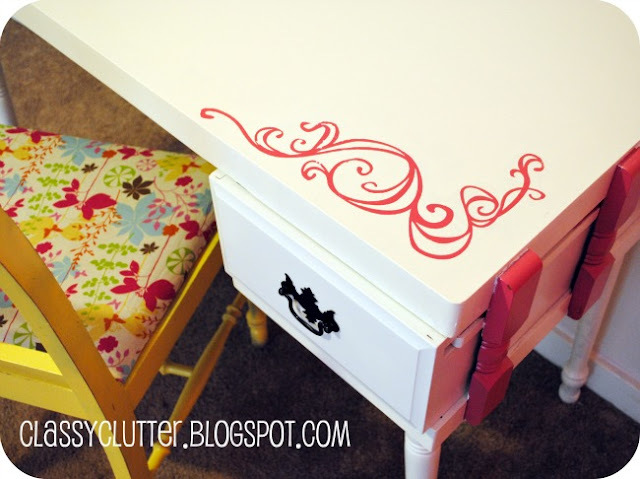 As you can see, we painted the accents of the desk pink to give it a little contrast and tie in the pink stenciled design. We’ve also stenciled numbers on this Anthroplogie inspired ordinal dresser. 4. The fourth technique we’d like to show you is to paint metallic accents on your piece. 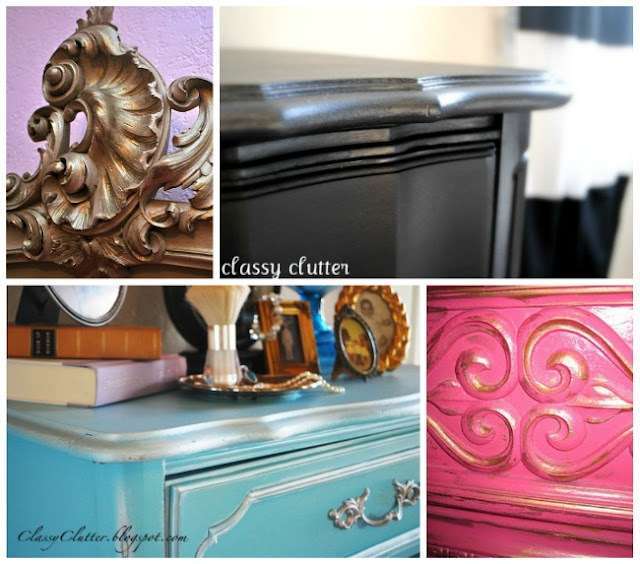 You can use virtually any kind of metallic paint on your furniture. Usually, we use a small bottle of acrylic craft paint and hand paint the detailed pieces of the furniture. We use a small brush and hand paint the areas you want to accentuate. You can go bold or subtle here and it truly makes a huge difference! Are you ready to tackle your next project yet?? All great ideas! Love the metallic paint look! I threw a picture of your striped hallway and a link back to you in my post today 🙂 Love that striped hallway! Love the metallic idea! I will use that one for sure. I was scrolling down and was enjoying a lot your words. I loved all above images and really got some great ideas regarding painting. The Black and White office desk is most adorable for me because I really love white and got some white pieces as well, please see see here and I think, my old pieces can take place very well with my new furniture. Anyway, thanks for your useful post. Nice Images for technique for painting furniture. Love that metallic accents along with beautiful painting ideas. Thank you sharing.